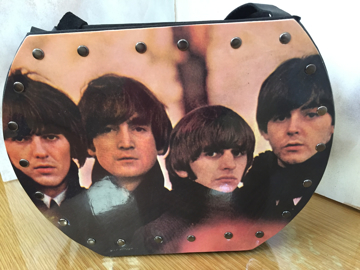 FREE SHIPPING - This attractive purse The Beatles - 1962-1966 features the original vinyl record album on one side and the decorative art album cover on the reverse side. 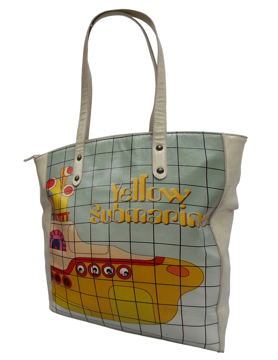 Covers are laminated for durability and strength. Both sides are securely riveted together. 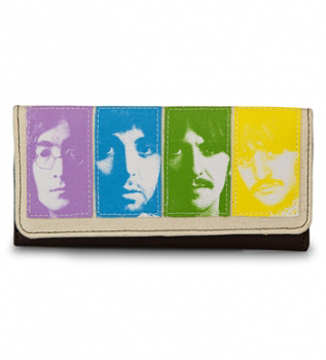 FREE SHIPPING: This attractive purse The Beatles - 1967-1970 features the original vinyl record album on one side and the decorative art album cover on the reverse side. Covers are laminated for durability and strength. Both sides are securely riveted together. 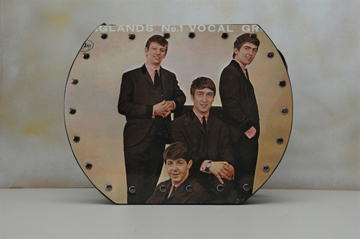 Original UK Record Album Cover. 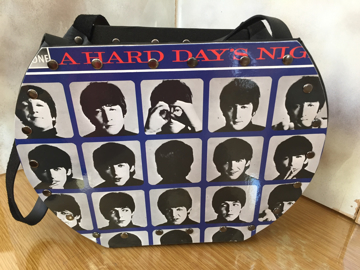 This attractive purse The Beatles - Hard Day's Night features the original vinyl record album on one side and the decorative art album cover on the reverse side. Covers are laminated for durability and strength. Both sides are securely riveted together. 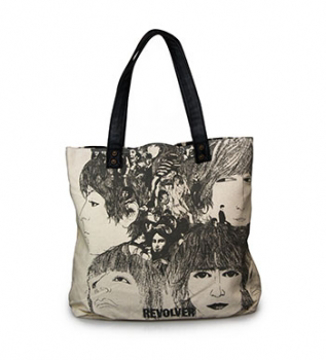 This attractive purse The Beatles - Let It Be features the original vinyl record album on one side and the decorative art album cover on the reverse side. 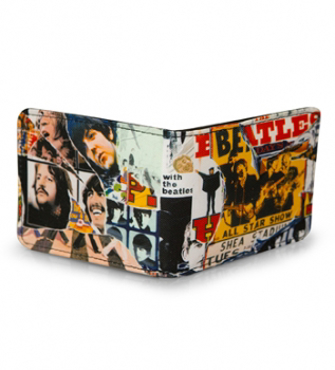 Covers are laminated for durability and strength. Both sides are securely riveted together. 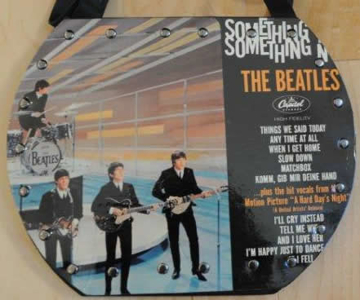 This attractive purse The Beatles - "Something New" features the original vinyl record album on one side and the decorative art album cover on the reverse side. 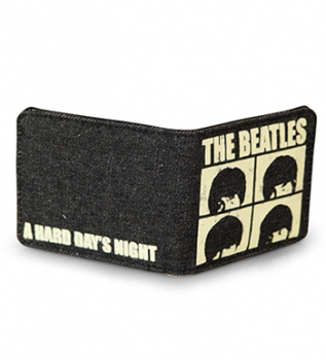 Covers are laminated for durability and strength. 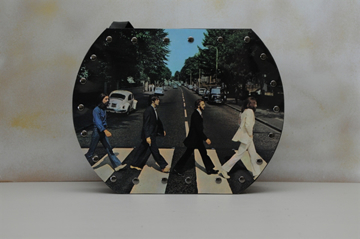 Both sides are securely riveted together. 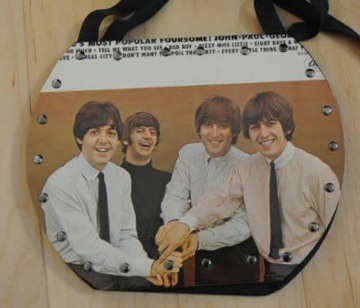 This attractive purse The Beatles - Rare cover Beatles V1 features the original vinyl record album on one side and the decorative art album cover on the reverse side. 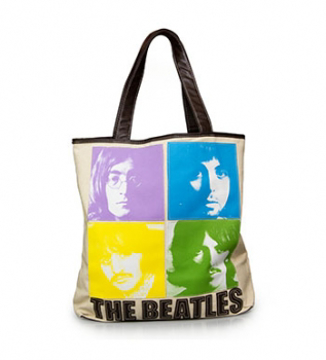 Covers are laminated for durability and strength. Both sides are securely riveted together. 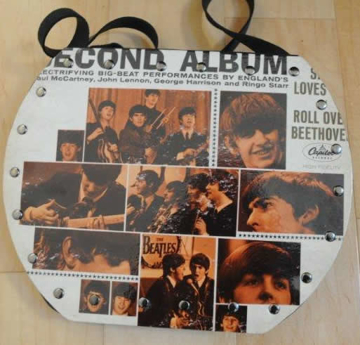 This attractive purse The Beatles - "Second Album" features the original vinyl record album on one side and the decorative art album cover on the reverse side. 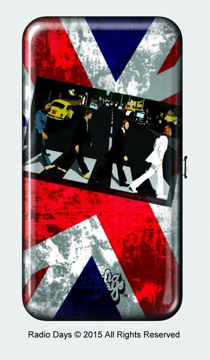 Covers are laminated for durability and strength. Both sides are securely riveted together. 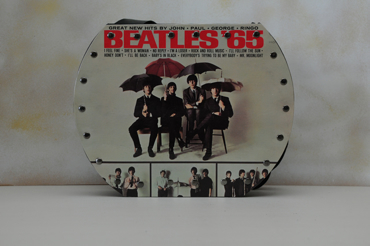 This RARE attractive purse The Beatles - Beatles 65 features the original vinyl record album on one side and the decorative art album cover on the reverse side. 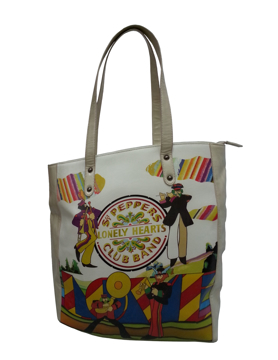 Covers are laminated for durability and strength. Both sides are securely riveted together. 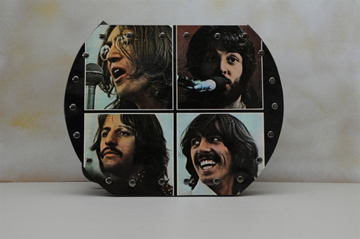 This RARE attractive purse The Beatles - Introducing the Beatles features the original vinyl record album on one side and the decorative art album cover on the reverse side. Covers are laminated for durability and strength. Both sides are securely riveted together. 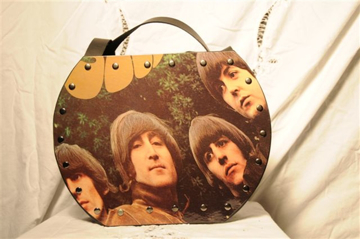 This attractive purse The Beatles - "Hey Jude" features the original vinyl record album on one side and the decorative art album cover on the reverse side. Covers are laminated for durability and strength. 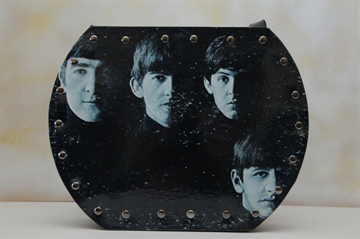 Both sides are securely riveted together. 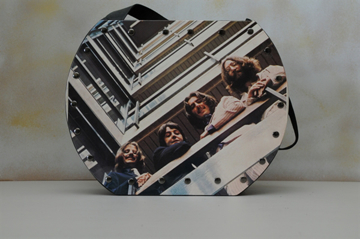 This attractive purse The Beatles - Rubber Soul features the original vinyl record album on one side and the decorative art album cover on the reverse side. Covers are laminated for durability and strength. Both sides are securely riveted together. 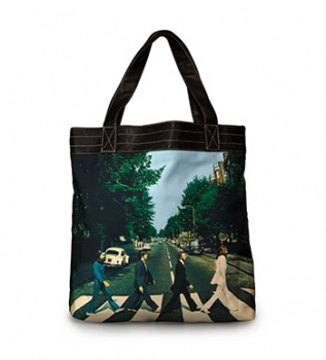 Officially Licensed Beatles 3 piece Trunk Set. 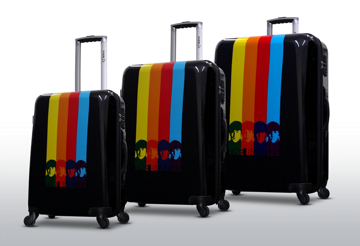 The smallest trunk is for Anthology 1, the medium trunk for Anthology 2, and the large trunk for Anthology 3. 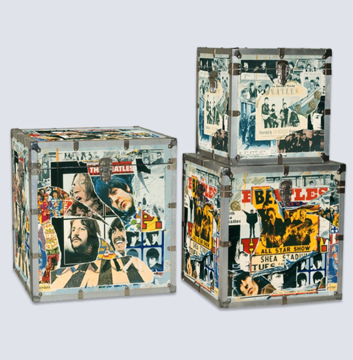 Each trunk includes a collage piece that was featured for each of the Anthology albums. 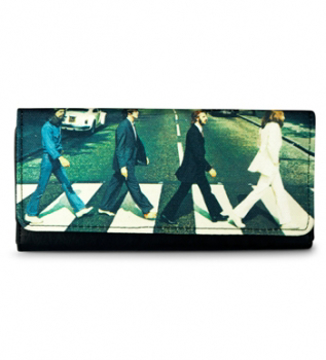 Beatles Original Record Purse:The "Beatles For Sale"
This attractive purse The "Beatles For Sale" features the original vinyl record album on one side and the decorative art album cover on the reverse side. Covers are laminated for durability and strength. Both sides are securely riveted together. 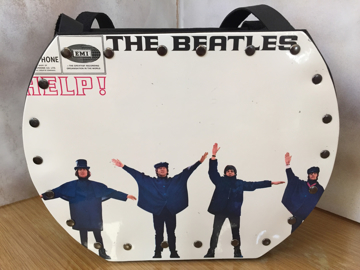 Beatles Original Record Purse:The Beatles - Help! 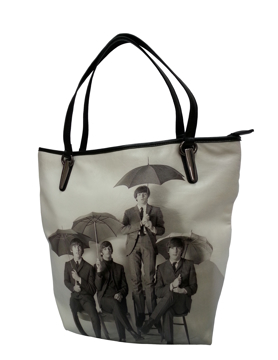 This attractive purse The Beatles - Help! features the original vinyl record album on one side and the decorative art album cover on the reverse side. Covers are laminated for durability and strength. Both sides are securely riveted together. 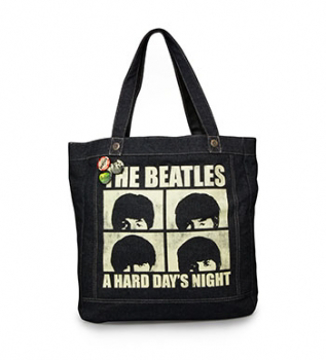 This attractive purse The Beatles - Sgt. 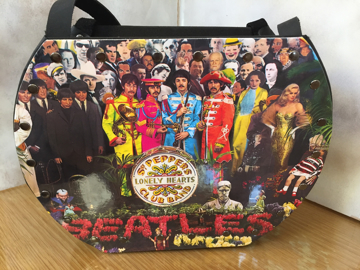 Pepper's Lonely Hearts features the original vinyl record album on one side and the decorative art album cover on the reverse side. Covers are laminated for durability and strength. Both sides are securely riveted together. 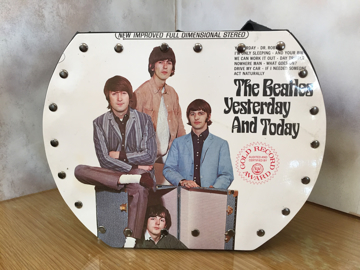 This attractive purse The Beatles "Yesterday and Today" features the original vinyl record album on one side and the decorative art album cover on the reverse side. Covers are laminated for durability and strength. Both sides are securely riveted together. 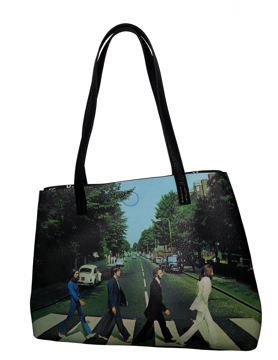 This attractive purse The Beatles - Abbey Road features the original vinyl record album on one side and the decorative art album cover on the reverse side. Covers are laminated for durability and strength. Both sides are securely riveted together. 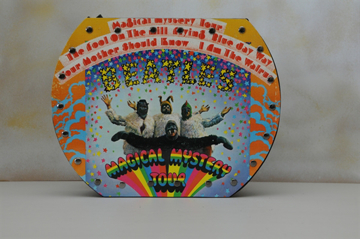 This attractive purse The Beatles - Magical Mystery Tour features the original vinyl record album on one side and the decorative art album cover on the reverse side. Covers are laminated for durability and strength. Both sides are securely riveted together. 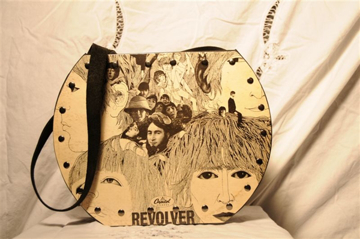 This attractive purse The Beatles - With The Beatles features the original vinyl record album on one side and the decorative art album cover on the reverse side. 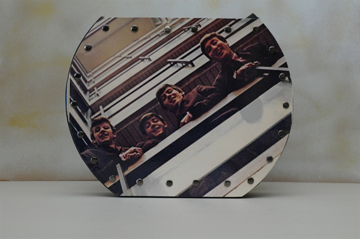 Covers are laminated for durability and strength. Both sides are securely riveted together.